The following is a press release prepared by Translators without Borders about an Ebola project we are funding. Many thanks to the TwB team for allowing us to repost this. DANBURY, CT USA – 7 November 2014. Translators without Borders (TWB) is pleased to announce funding from the Indigo Trust to extend its Ebola Words of Relief Extension project to more languages in West Africa. Additionally, the project will focus on distribution of the local language materials through various humanitarian networks and on the ground, ensuring that affected populations do receive critical information in their own languages. The funding by the Indigo Trust is intended to improve communications between aid workers and local populations in West Africa suffering from the Ebola epidemic. The funding, which enhances the Words of Relief Ebola Extension project initially funded by the Humanitarian Innovation Fund (HIF), recognizes the critical role language and translation play in improving crisis response and saving lives. Called “the modern era’s worst health emergency,” by the World Health Organization, the Ebola epidemic is a crisis of information, a crisis of communications and, ultimately, a crisis of language. In September, UNICEF found that in Sierra Leone, thirty percent believed Ebola was transmitted via mosquitos and another thirty percent believed it was an airborne disease. 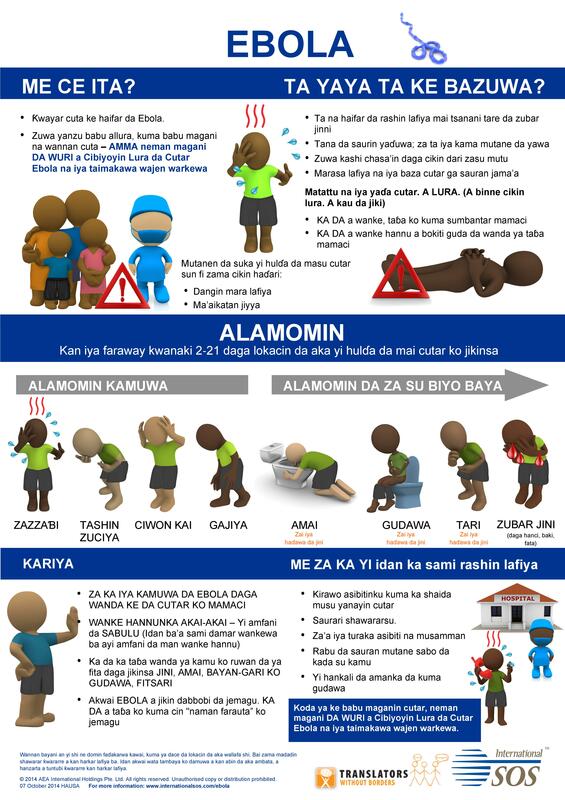 The project supports efforts to reduce the information gap by providing simple messages, posters, public service announcements and voice over in six languages: Krio, Themne, Mende, Fula, Malinke, and Pidgin English (audio only) for the most affected populations in Sierra Leone, Guinea and Liberia. The team hopes to extend the project to other key local languages as well, such as Bambara in Mali. 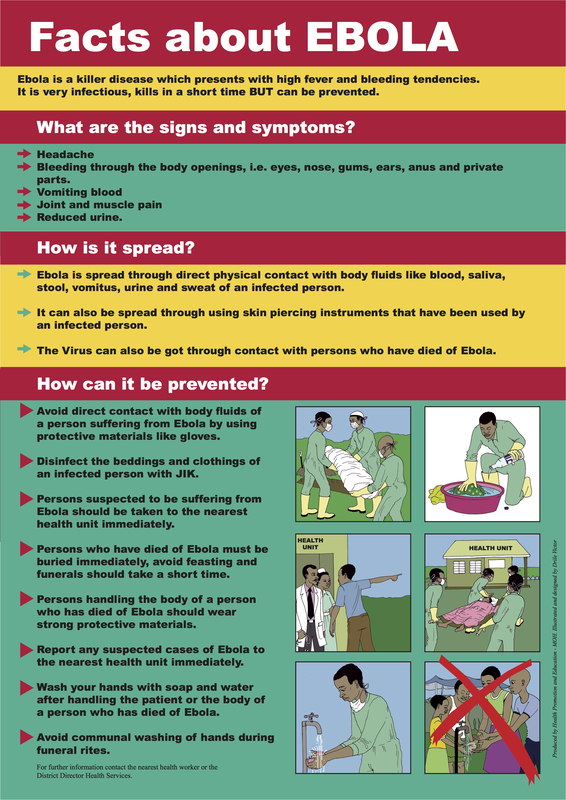 English language Ebola poster – but what if you don’t speak English? Translations, which have already begun, are completed by rapid response translation teams made up of either professional translators or community translators trained by Translators without Borders. Current content is provided by International SOS, WHO/UNICEF and the Centers for Disease Control (CDC), but the project intends to expand the source messaging to more organizations as well as national government messaging. Words of Relief is currently being piloted in Kenya with Swahili and Somali. The pilot, funded by the HIF and Microsoft, creates a database of local language crisis content that can be extended throughout the world. It also includes development of rapid response ‘spider networks’ into local languages and development of an online tool to link aid workers directly to rapid response translation teams.